sys.dm_db_database_page_allocations is one of the dynamic management functions shipped with SQL Server 2012. As its name implies, it does the same; it gives the information as to how objects keep data in different pages and its allocation in the databases. This function is somehow same as undocumented DBCC IND command but it provides much more information than DBCC IND that we will discuss later in this article. @DatabaseId :You need to pass the required database ID. This parameter is mandatory and data type of this argument is small integer. @TableId:You need to pass the required table ID. This parameter is optional and data type of this argument is integer. @IndexId:You need to pass the required Index ID. This parameter is optional and data type of this argument is integer. @PartionID:You need to pass the required Partion ID. This parameter is optional and data type of this argument is integer. @Mode:You need to pass the required Mode. This parameter is mandatory and data type of this argument is nvarchar(64). In this argument we must pass only ‘DETAILED’ OR ‘LIMITED’. As we know that SQL Server stores data in the pages and whenever we need to view this information in earlier versions (2005, 2008) of SQL Server we need to invoke an undocumented command DBCC IND to get the info. The problem with this command is that if you want to further manipulate its result set you need to insert its record set in a temporary table and it also has a limited level of information. In SQL SERVER 2012, sys.dm_db_database_page_allocations came as a replacement for the DBCC IND command and it gives more information about the internal storage of the data. Given below are the major differences between sys.dm_db_database_page_allocations and DBCC IND. It is an in line function, so you can easily manipulate its result set without using any temporary table. You need temporary table to manipulate its result set. 2 It gives you the information about unallocated pages of the object as well. It gives you the information about allocated pages of the object only. 3 It gives you the complete details of internal storage including allocated unit details. It does not give you the complete details of internal storage including allocated unit details. 4 You can query all the database objects allocation at a time. You can query only one object at a time. 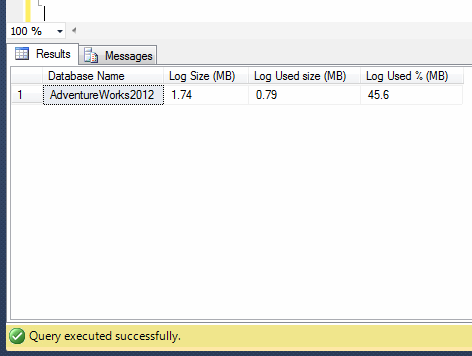 Given are column comparisons between sys.dm_db_database_page_allocations and DBCC IND command. Also highlighted are the new fields introduced in this function. In this example, this function will give you the page allocation of “Sales” table only. In this example, this function will give you the page allocation for all objects including system objects. sys.dm_exec_describe_first_result_set_for_object is one of the dynamic management functions introduced in SQL server 2012. This function also displays the first result set metadata information like “dm_exec_describe_first_result_set” dynamic management function, but the major difference is“dm_exec_describe_first_result_set” use for SQL queries and “sys.dm_exec_describe_first_result_set_for_object” use for objects like stored procedure, triggers. @object_id : Object ID of stored procedure and trigger only. Data type is integer. @include_browse_information : It can be from 0 to 2. using this parameter, function returns the additional information. Data type is bit. The purpose of sys.dm_exec_describe_first_result_set_for_object is to view the metadata information of first result set of any stored procedure or trigger. Lets say, if any procedure or trigger having more than one result set then the meta data information will be displayed for the first result set only. Note : sys.dm_exec_describe_first_result_set_for_object can not display the meta data of other than “stored procedure or trigger”. --Given below are the few columns from the result set. Other than that, there are other important information also available to give you complete details of metadata. --But if the @include_browse_information=0 then this function will not give you the source data (Source Database, Source Schema, Source Table, Source Column) information. Lets create a stored procedure having two result set. --Given below are the few columns from the first result set Only. In this example, “sys.dm_exec_describe_first_result_set_for_object” will generate an error because nothing except stored procedure or triggers is allowed. --In this case all values will be NULL expect error information columns in the end of the result set. --Given below is the screen images of the last columns. sys.dm_exec_describe_first_result_set_for_object gives the meta data information of the first result set of any stored procedure and trigger, but it differs from different @include_browse_information parameter. This function can filter the meta data column as per the requirement. This function returns the data in a tabular form, so you can utilize it in any other function or procedure. In this article we will discuss the new dynamic management function namely “sys.dm_exec_describe_first_result_set”. The functionality of this function is almost similar to “sp_describe_first_result_set” system stored procedure, but the implementation (Syntax) and usage is different. “sp_describe_first_result_set” provides the detailed meta data on the basis of different@include_browse_information parameters. 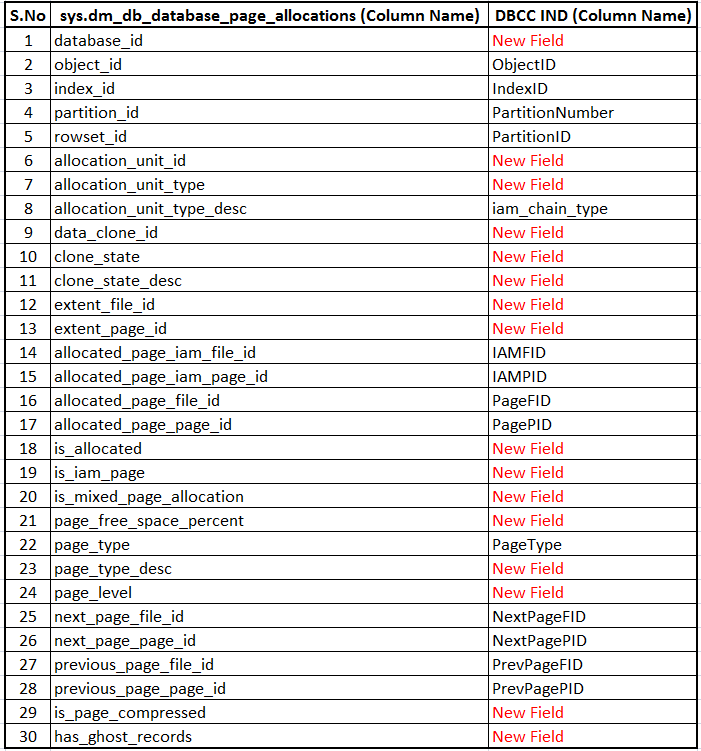 But lets say if we need only two columns from this meta data info and you would like to query it like a table, both requirements are not fulfilled by “sp_describe_first_result_set” stored procedure, because it does not return the data as a tabular form and also you cannot query only few columns. In this case you can use “sys.dm_exec_describe_first_result_set” function to fulfill both your requirements in addition to the “sp_describe_first_result_set” functionality.